Offering you a complete choice of products which include cnc router machine spare. Owing to our immense years of industry experience, we are offering a huge array of CNC Router Machine Spare. 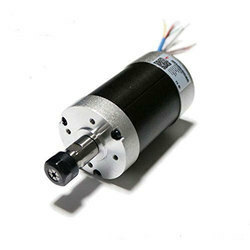 The offered driver is meticulously tested on various quality parameters and is widely demanded in various industries. Provided driver is manufactured by utilizing optimum quality raw materials and the latest technology at the vendor’s manufacturing unit. In line with the international standard, we provide the entire product in various customized options and at affordable prices. Looking for CNC Router Machine Spare ?